It’s rare that I remember the first time I had a specific beer. 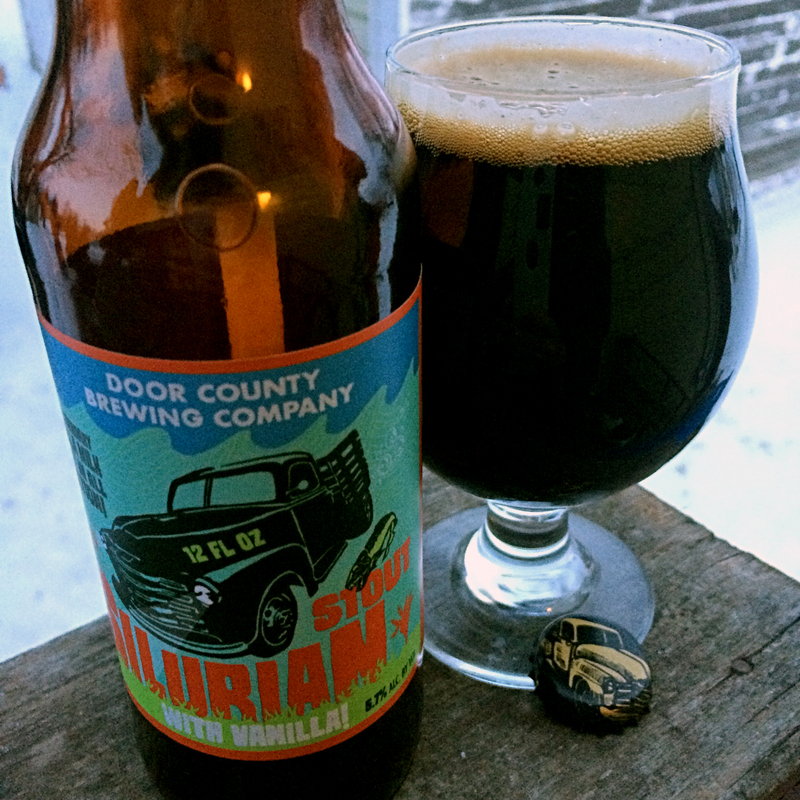 But I remember the first time I had Silurian Stout by Door County Brewing Company. I was watching Super Bowl XLVIII in 2014 at a bar called the Court N’ House—it was near the court house—in Eau Claire. As an avid Packer fan, I had no reason to root for either team, and just wanted to see a good game. But the bartender asked me to pick a side—there were orange or green Jell-O shots on the line, depending which team scored. I bet on Denver, which proceeded to get blown out by the Seahawks 43-8. One shot. Thanks, Peyton. The game was… forgettable. But one beer was not! Dark, nice tan head served in a weizen glass. Vanilla is apparent on the nose, but subtle enough on the tongue. Sweet and creamy, almost a peanut butter quality, but dark chocalaty, toasty malts held their own—unlike the Broncos. I began seeing Door County on the shelves shortly after that. With other great beers in the Door County lineup—Polka King Porter, Pastoral Saison, Le Printemps Saison, L’automne Biere De Garde, etc.—the Baileys Harbor brewery has since grown to the point that it is contracting much of its brewing to Octopi, down state in Waunakee, Wisconsin. I’m not sure where Silurian—a reference to the Silurian Period when the Great Lakes were a much larger inland sea—is brewed currently, but it’s still as tasty as I remember back in 2014. It would be a good choice once again alongside some bar peanuts and friends when New England and Atlanta play this Sunday. If I can’t pick a winner in the game, I can at least pick one on tap.